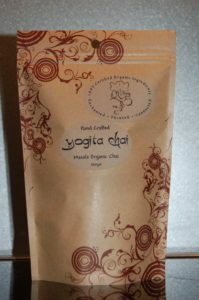 Yogita Chai Masa la Organic uses 100% Certified Organic Spices & Tea. A special blend of organic Masala Spices and Ceylon Black Tea for your next Chai Latte expressing deep, rich and delicious traditional Indian style Masala Chai flavours which invigorate the body & soul! For over 20 years we have been refining our Chai recipe and making it with much love, taking care in how we hand-craft the blending of ingredients to share with our family and friends. Our enjoyment of Indian Masala Chai (Indian spiced tea) started over 25 years ago when we were travelling travelling through Nepal and India. 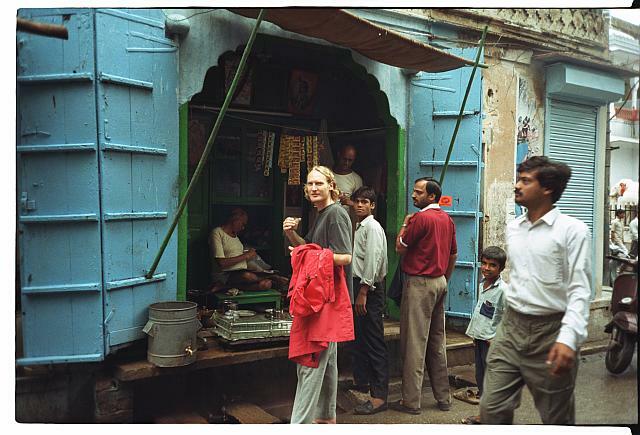 These trips through the Himalayas were for both adventure and to deepen our understanding and practises of yoga. 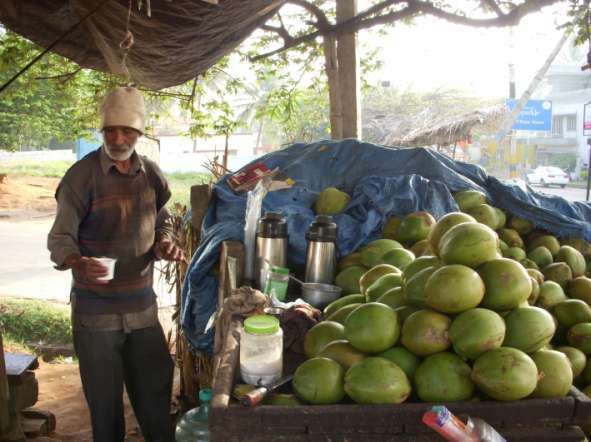 One of the benefits of travelling through India and the Himalayas, is that there are Chai Wallah’s (chai vendors) everywhere, carrying their trays of glasses filled with hot chai latte around the streets, or even selling them through your train window whenever you pull up at a station! It didn’t take us long to fall in love with the strong and invigorating spice flavours that you get in a good cup of Indian masala chai latte and have ever-since been attempting to match the blends we enjoyed the most. The picture below is one of my favourite Chai Wallah’s huts in 1992, just down the track from where we were studying yoga in the Himalayan village of Dharamkot, just above McLeod Ganj, Dharamasala. adding lots of sugar or condensed milk. Followed by dramatically pouring the very hot chai latte from one pot to another at arms-length apart in the air, to mix and steep the chai. Then finally straining the mixture into a tea pot or glasses. This traditional process takes time and unfortunately many people today with their hectic lives do not make the time to indulge in this ritual. This has led to the production of many new ‘instant’ blends of chai latte, with unfortunately all their artificial ingredients! This ‘chai journey’ was always a personal passion but when we opened our own yoga school and students started attending our Yoga Philosophy and Movie Nights to raise funds for local charities, they really enjoyed drinking our special blend of ‘Masala Organic’ Chai Latte with its deep and rich flavours that we provided during the breaks! So after 20+ years of refining the recipe and making this chai with much love and care, in how we hand grind, mix and brew the ingredients to share with our family and friends, we are meeting the call! Since many people kept asking for more of our chai to take home, we have finally arranged to bring this traditional authentic taste of India to you, using only 100% Certified Organic ingredients!